Developing a vision for your student body! Great leaders communicate a vision of the future. They can see opportunities on the horizon and persuade others that these opportunities should be pursued. Your student council campaign is a great opportunity to collect ideas from others. If you make yourself visible and ask thoughtful questions, students will readily share their ideas. Some ideas will be brilliant and hopeful others will be intended as a joke; just for fun. Embrace all ideas that come your way and thank people profusely for their contributions. Your task now will be to analyze all of the feedback that you have received and identify common themes. Place all of the data on one table and see what common common themes spring forth. You may rearrange the items on the table and place them into different idea categories. Any themes you discover will be the basis your understanding of what the student body really hopes for and believes. They hint at where your fellow students would like to go. For some feedback you will have to read “in between the lines” to uncover its actual meaning. For example, some feedback may be vague or overly negative. A statement like “I hate school,” has hidden meanings. You might ask yourself what about school is particularly troubling for them? You can get more value from vague statements by trying to understand the context of the student’s unique situation. What they are not saying is the source of a problem that you may be able to address as a campaign issue. The purpose of forming your campaign vision is to create a hopeful image of a future in which everyone can take part. The purpose is not to necessarily impose your own ideas, but rather to communicate a vision that will be shared by the majority of your peers. The most powerful campaign messages are ones that resonate with feelings that others already hold. 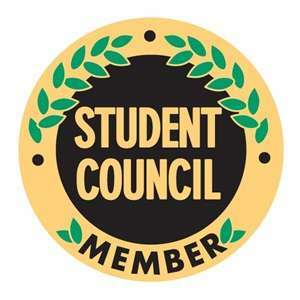 Dramatically improve your student council campaign strategy!